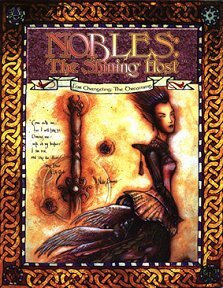 Nobles both of this world and the fae one - for your characters to interact with, perhaps even to join. Publisher's blurb: "Discover the secrets of the faerie nobility. Learn the truth behind the return of the Sidhe to earth. This sourcebook not only provides vital information on the earthly nobility, but offers glimpses into the courts of the Dreaming."